NASA's Cassini spacecraft has captured close-up views on the massive hurricane around Saturn's north pole. 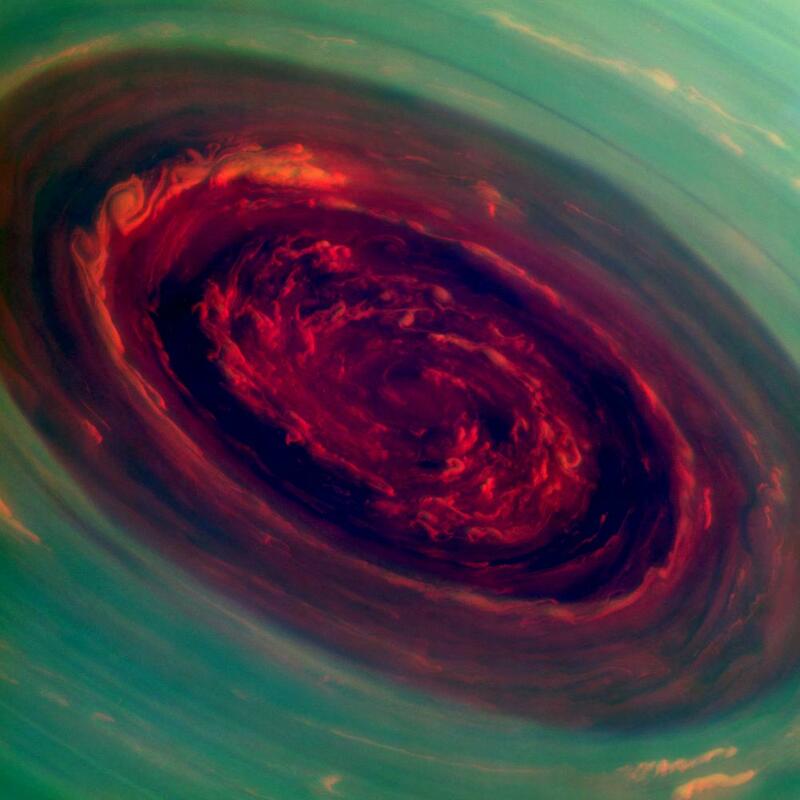 The spinning vortex of Saturn's north polar storm resembles a massive deep red rose in this false-color image from NASA's Cassini spacecraft. Measurements have sized the eye at 1,250 miles (2,000 kilometers) across. Cloud speeds in the storm are as fast as 330 miles per hour (150 meters per second). You can view a larger version of the above image here. Andrew Ingersoll, a Cassini imaging team member at the California Institute of Technology in Pasadena, said in the announcement, "We did a double take when we saw this vortex because it looks so much like a hurricane on Earth. But there it is at Saturn, on a much larger scale, and it is somehow getting by on the small amounts of water vapor in Saturn's hydrogen atmosphere."